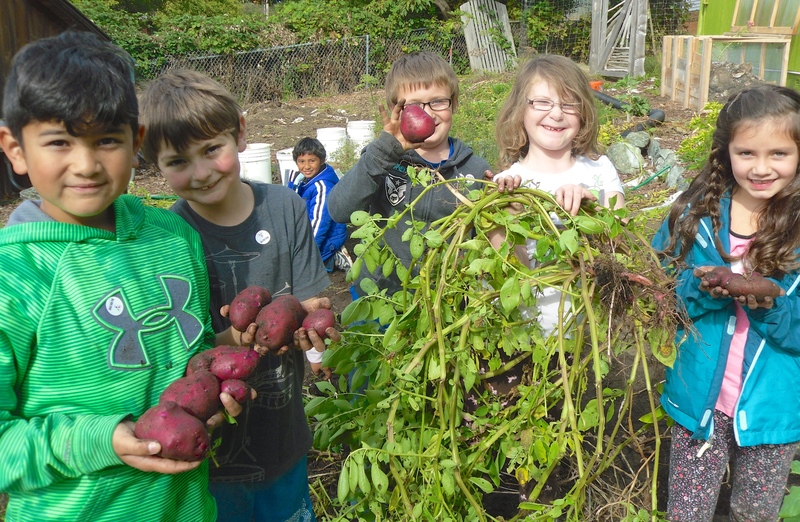 Orcas Island School District is home to one fantastic school garden. You’ll find it right there next to the great maple tree in front of the big brick building that houses Orcas Island Elementary School. 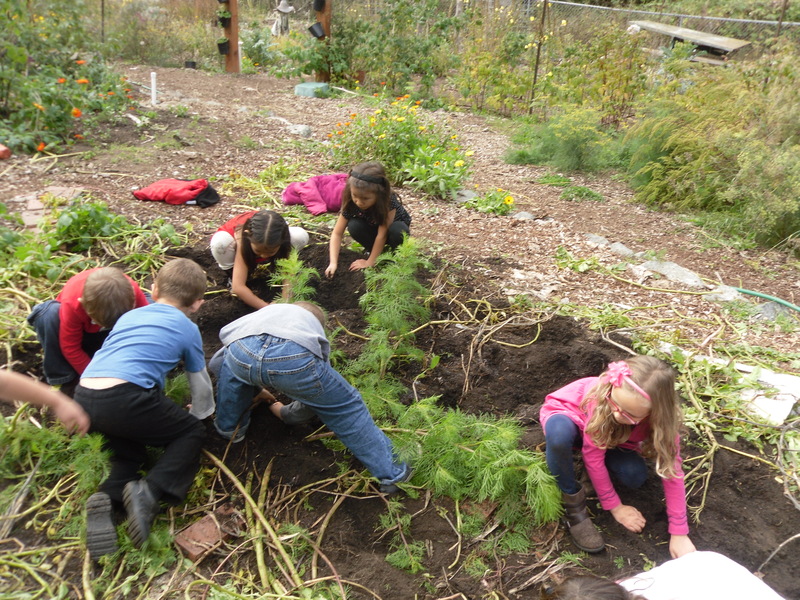 The garden is maintained by the Elementary Children during a weekly class called Farm to Classroom. 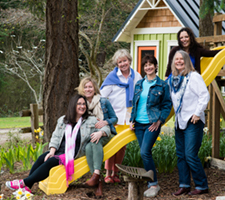 I have been teaching this class since its inception almost six years ago. It is a labor of love and a time of great discovery by all. 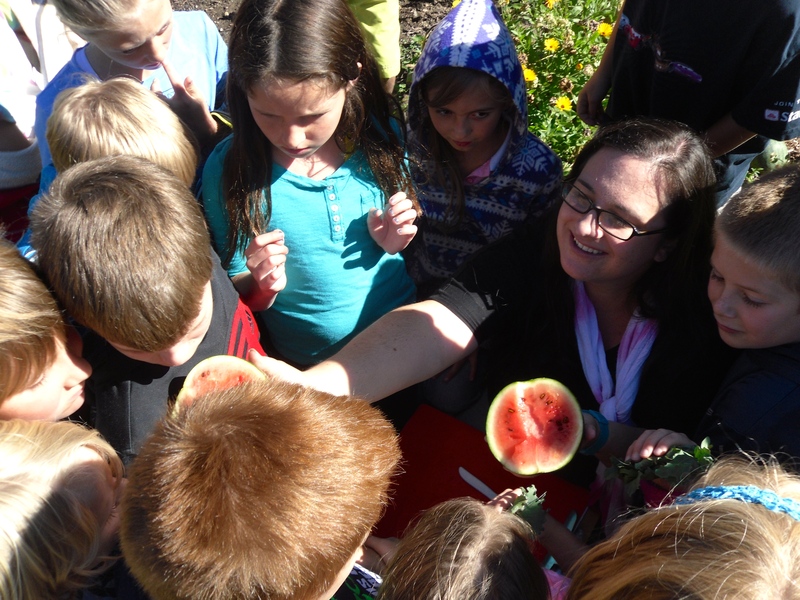 Miss Mandy sharing a watermelon grown in the school garden with some eager students! 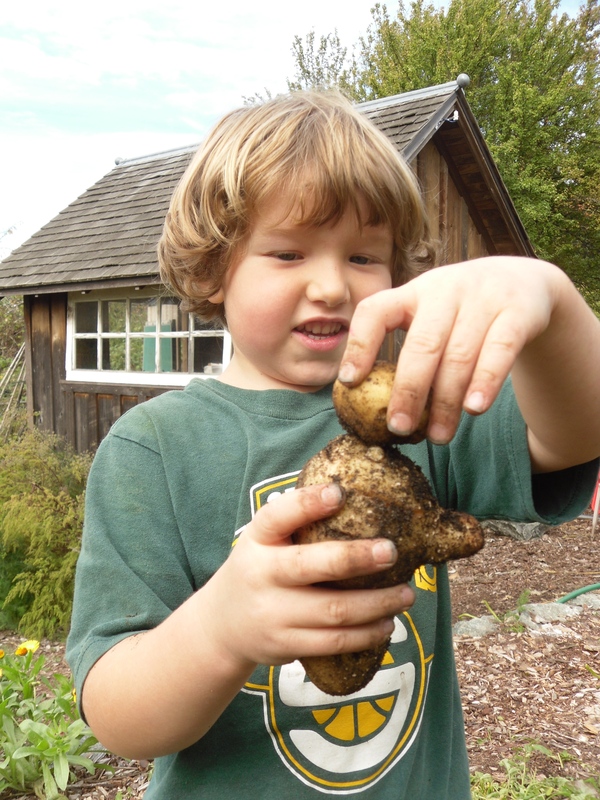 One of my favorite activities in the garden is the yearly “great potato dig” with the Kindergarteners. It is early October in the school garden and the potato patch is ready for picking! Enter 35 Kindergarten Students. First a quick lesson on potatoes. You wouldn’t believe how many 5 year olds don’t know that potatoes grow under the ground. You can imagine the delight on their faces once they realize that they get to dig for the buried treasure. Farm to Classroom students digging for potatoes! The digging commences and soil starts flying from the children who dig with wild abandon. 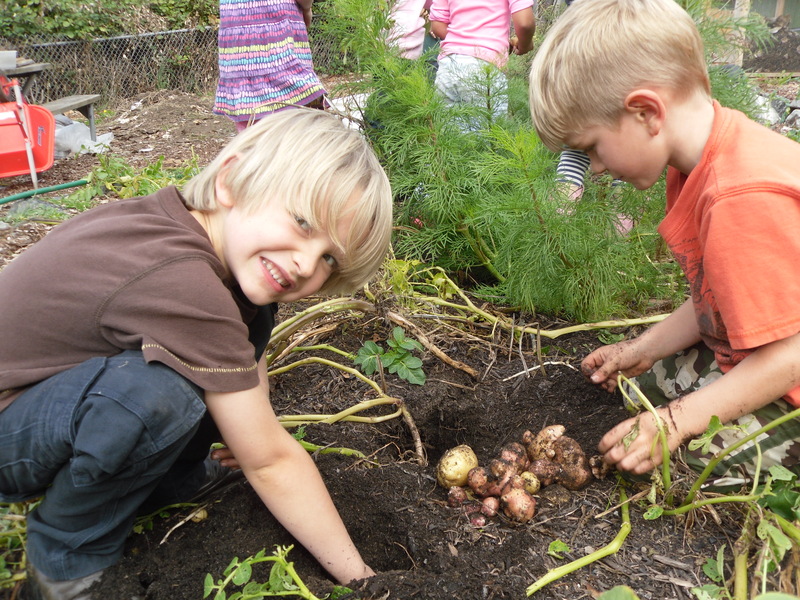 Some of the kids decide it is much tidier to pull the plant and pick the potatoes off the roots. Everyone is actively engaged. Beautiful red potatoes and the excitement of pulling out the entire plant with potatoes still attached at the roots! Just look at our variety of potatoes. 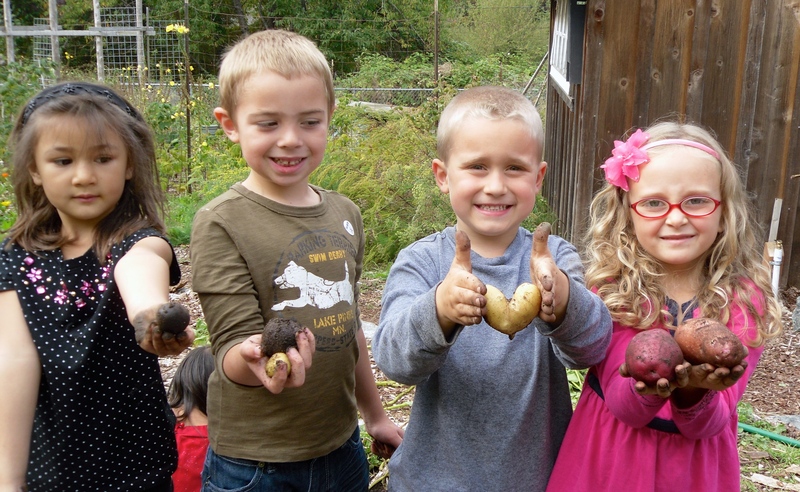 Red, purple, blue, yellow, and we even grew a heart shaped potato! The potato patch was plentiful this year. We started a new patch in a well-seasoned compost pile. Added to that was a delivery of soil from San Juan Sanitation to establish a nice deep area of loose soil. We planted organic potato seeds of several varieties. What a fabulous combination. We will use these potatoes for cooking projects in the classroom this winter. The children have put the garden “to bed” for the winter. The potato patch was gently tucked in with a cover crop of fava beans that will certainly provide another exciting opportunity for discovery next spring! 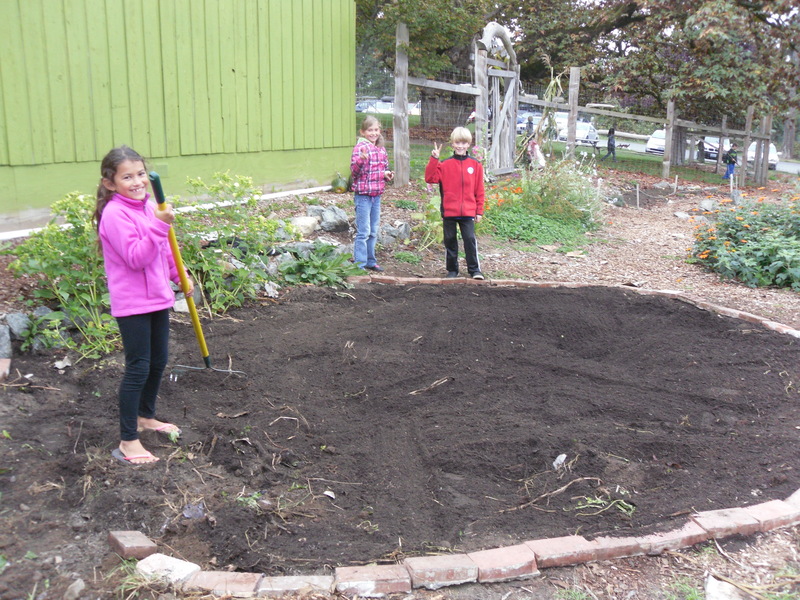 Third and Fourth grade students prepare the potato patch for the fava bean cover crop planting.